“The Caribbean has all to gain; 365 days per year of good quality sunlight; excellent quality water; use of limited land space; use of marginal lands; proximity to major markets; a regional food import bill that is in the billions of dollars. We need to use these technologies to bolster local production to the extent that we have surplus to export.” So stated Jervis Rowe, a seasoned practitioner and Vice President of the Jamaica Greenhouse Growers Association, in response to a query as to whether the Caribbean farm sector can really benefit from the adoption of green intensive farming technologies. 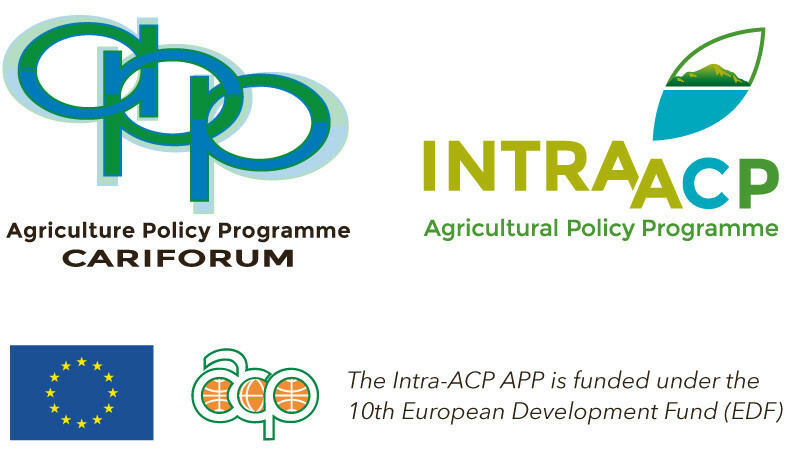 On 27 October, 2015, under the applied research and technology component of the 10th European Development Fund (EDF) Intra-ACP Agricultural Policy Programme (APP), the Caribbean Agriculture Research and Development Institute (CARDI) hosted a team of experts, academia, practitioners and producers in a one-day meeting to brainstorm and take stock of the status and rate of adoption of green intensive farming technologies in food production in Caribbean countries. This term can be shortened to ‘GIFT’ which suggests that these green technologies are ‘given’ to the region from developers in industrialised nations of the world. According to Anthony de Gannes, another seasoned practitioner and Protected Agriculture consultant in Trinidad and Tobago, “most of these technologies have been developed in countries outside the region; it is usually up to innovators to modify, adjust and tweak technologies to suit the Caribbean tropical environment”. But what exactly are these green intensive farming technologies? A quick survey throws up terms such as ‘organic production’, ‘climate smart agriculture’, ‘protected agriculture’, ‘greenhouses’, ‘hydroponics’, ‘sustainable practices’, etc. To get a better sense of what these GIFTs are, Grace del Prado, Senior Crop Researcher/Ministry of Agriculture, Animal Husbandry and Fisheries in Suriname explains that green intensive farming technologies “are measures to increase production and productivity while making more efficient use of natural resources in a sustainable way”. They include the range of climate smart farming technologies, systems and practices, but go beyond just responding to the effects of climate change. They are environmentally smart systems and practices that support intensive agricultural production, including addressing issues related to nutrient management and plant health, among other things. It should be made clear that such technologies do not only apply to ‘protected’ (including indoor) farming systems. 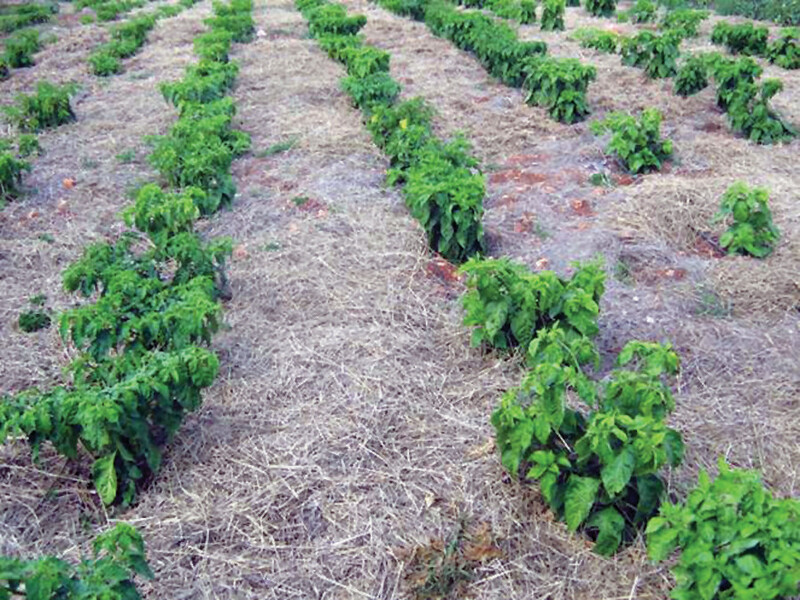 In the foreseeable future, open field farming will continue to contribute the more significant share of the region’s food supply and given its extreme vulnerability to climatic and environmental hazards and threats, the need to invest in open-field GIFTs cannot and should not be marginalised in the thrust to adopt alternative protected agriculture technologies. As is evident in the not-so-predictable wet to dry season transitions, small farming systems in the Caribbean are definitely facing unprecedented threats. This was most recently manifested in Dominica, with Tropical Storm Erika which wreaked havoc on the nature island, unleashing rains that created mud slides comparable to avalanches in the Swiss Alps. In the Rapid Assessment Rapid Damage and Impact Assessment Tropical Storm Erika – August 27, 2015, released by the Government of the Commonwealth of Dominica, prepared by the World Bank Global Facility for Disaster Reduction and Recovery (GFDRR) with funding from the ACP-EU Natural Disaster Risk Reduction Programme, the words used to describe the rainfall are equivalent to words associated with adverse climate change impacts, i.e., ‘extraordinary rainfall with high intensity’, resulting in ‘intense and rapid flooding’. The report revealed that the majority of damages were sustained in the transport sector (60%), followed by housing sector (11%) and agriculture sector (10%). It is predicted that intensity and frequency of adverse weather events will increase in the near future. Experiences with rising temperatures, unpredictable and variable rainfall and rising sea levels, associated with impacts of climate change, have detrimental impacts of agriculture, particularly open field farming. This does not bode well for a region still heavily dependent on the agricultural sector as a major pillar of economic development. 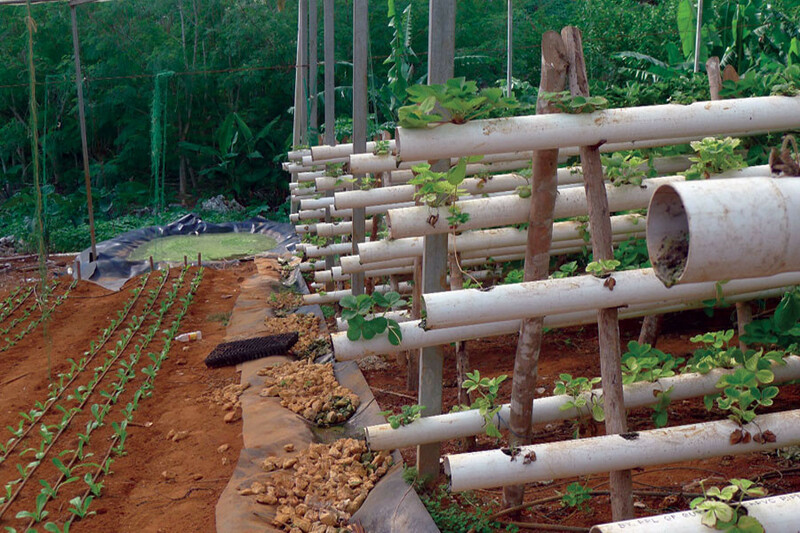 Agriculture makes direct contributions to Gross Domestic Product (GDP), of approximately 20% and 16% in Guyana and Dominica, respectively and to livelihoods and food security in the region. If farmers in the region are to remain competitive and agriculture is to remain a viable economic activity, an urgent shift is required to more sustainable and resilient productions systems and technologies. Such green and intensive farming technologies must address some fundamental challenges that farmers must overcome, i.e., water and energy use efficiency in any and all farming systems. While this era for agriculture, is often described as the ‘real’ green revolution, use of the term green intensive farming technologies is not intended to introduce a new acronym into an already acronym-congested agriculture sector; nor to contribute confusion in the information overloaded minds of farmers, agriculture technicians and policy makers. 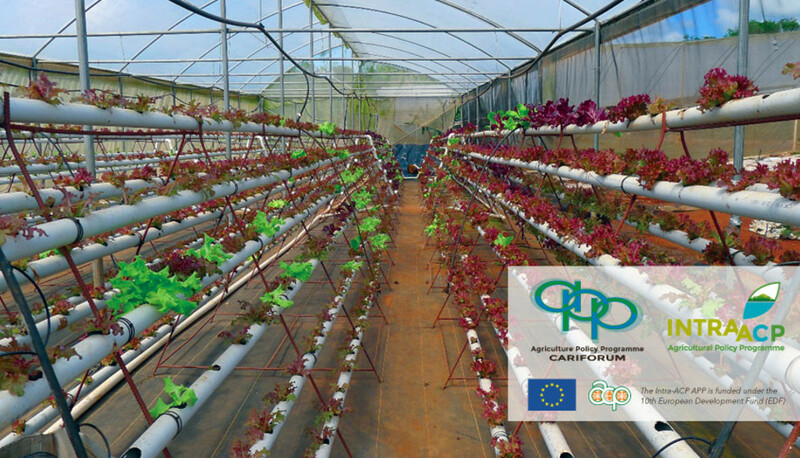 It is for this reason that under Component 2 of the APP, CARDI will host a regional technical forum on Green Intensive Farming Technologies in Saint Lucia, from 8 – 10 December 2015. This forum seeks to bring together regional stakeholders in green agriculture technologies to share knowledge and experiences in the field as input into building capacities of farmers and agricultural technicians in skills and techniques of green intensive farming technologies for productivity enhancement and loss reduction. It is expected that through presentations, discussions and field visits the range and scope of GIFTs will be better understood. The forum is a collaborative effort between the APP (led by CARDI and IICA) and collaborators, i.e., the University of the West Indies (UWI) and the Ministry of Food Production, Fisheries, Cooperatives and Rural Development in Saint Lucia. Key resource persons will also be drawn from the Regional Centre for Integrated Services in Protected Agriculture (CRESIAP) from Mexico. CRESIAP has over the last few years become an important strategic partner in building capacities of agricultural technicians and farmers in protected agriculture in the Caribbean through its alliance with IICA and the Government of Mexico. In addition to CRESIAP, the accumulated institutional knowledge in CARDI, UWI and Ministries of Agriculture, and the collective expertise and practical experiences in green technologies, particularly protected agriculture systems of practitioners and producers from in the Bahamas, Jamaica, Haiti, Trinidad, among others, will significantly contribute to arriving at an improved understanding of GIFTs. In this new reality of climate change, innovative and adaptive capacity must be at the heart of the massive transformation process that is required, but which must be oriented towards the numerous small production systems which characterise the farm sector in the Caribbean. It is with this realisation in mind, that the GIFT Forum will also lay the groundwork for a regional network/mechanism for knowledge transfer and exchange of expertise and experiences on green intensive farming technologies.